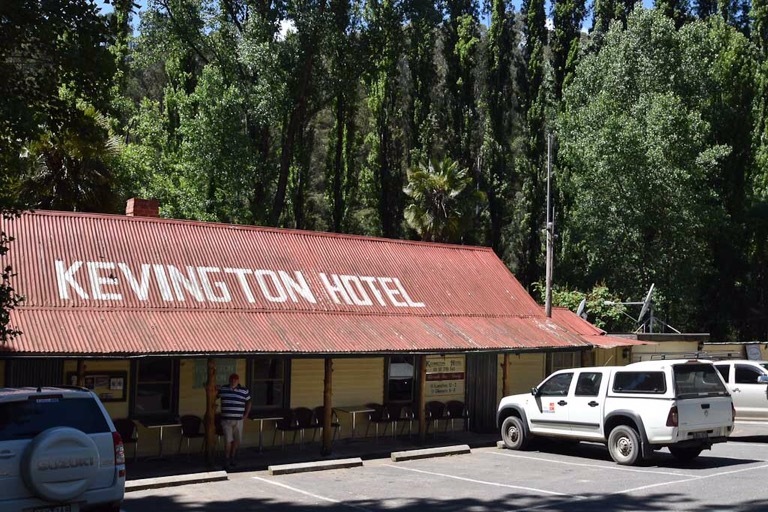 The Aussie bush pub is not just a hotel. It is a place where the community gathers. It is where marriages and births are celebrated and mates are farewelled. Where thirsts are slaked and sorrows drowned. Whether the industry is cane or cows, sorghum or sheep the locals meet at the pub. Walls are decorated with trophies and photos and faded advertisements for tractors. Rooms are occupied by insurance agents and miners who drank too late and couldn’t risk the drive home because of the ‘roos on the road. If you notice money on the ceiling it means that the drinkers have pinned donations up there for a charity or a school or the Flying Doctor or something else that means everything to life out here. Then there are the wide verandahs which are for dogs to lay about in the sun just waiting.So when grey nomads pop into a pub for a cold drink they are really there to learn about the town that they are visiting, because on the walls there will be pictures of drays laden with wool and bogged up to the axles, or the bushfire when it came over that ridge, over there, and tree stumps so large that a dance can be held on them. There will marks on the walls where floodwaters reached and bullet holes from some affray. And publicans up for a chat about how things are in these parts, the crops are bad, there’s not enough rain, the mine has closed or like the bloke we spoke to last week who complained that the patrons drank too much! Now that’s a first. Oh damn we were up in Bourke not long ago and didn’t tackle the road to Louth. Wish we had now. Thanks so much. It’s a funny country we live in isn’t it? Definitely is and you often stumble on little places which are never mentioned in the tourist brochures. Shindy’s Inn was a great place where we sat and chatted with the staff about the wild goats. Very enlightening. I had absolutely no idea those feral goats existed. The lady at the Inn was very happy to have them about they had some land and gave the goats access to water then periodically trapped some. A nice income without having to do any “farming”. Ah no, not goats but sheep. We were confused as we’d seen hundreds of goats for days. We realised later that we had seen these funny sheep in WA last year. Quite odd looking. The “River Run” was very disappointing, saw the river about once! All this is very true…..usually the more remote the pub the bigger the stories! I love pubs for exactly the same reason.